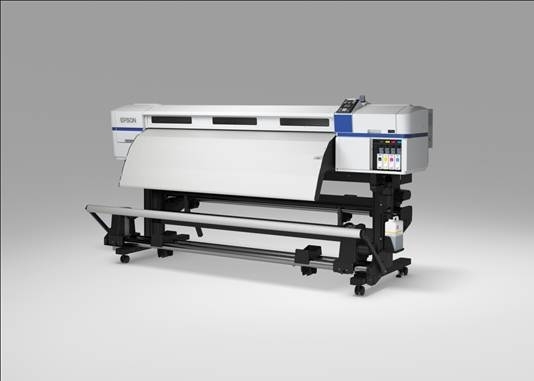 LONG BEACH, Calif. – Feb. 14, 2012 – Epson America today introduced its next generation 64-inch solvent printer – the EPSON® SureColor™ S30670. Incorporating Epson’s latest technological breakthroughs, the SureColor S30670 is the first ever solvent-based printer to use the EPSON MicroPiezo® TFP® print head, bringing a new level of quality, performance and value to the signage, vehicle graphics and fine art markets. The SureColor S30670 utilizes an entirely new print engine featuring Epson’s MicroPiezo TFP print head to deliver droplet sizes as small as 4.2 picoliters and double the nozzle density of Epson’s previous solvent printer for extremely fast print speeds. The SureColor S30670 is a four-color solvent printer (CMYK) leveraging new EPSON UltraChrome® GS2 solvent-based ink technology. Developed exclusively by Epson, UltraChrome GS2 includes a newly formulated yellow ink that can produce prints with up to three years of outdoor durability without lamination. In addition, these new inks deliver virtually odorless printing without the need for external dryers, special ventilation or air purification systems, and do not contain Nickel (Ni) compounds, helping to reduce impact on the environment and potential harm to employees. The EPSON SureColor S30670 will be available in April through authorized Epson Professional Imaging resellers for a list price of $16,995. The EPSON SureColor S30670 offers a standard EPSON PreferredSM Limited Warranty, a one-year program that includes toll-free advanced telephone access Monday through Friday and usually next business-day on-site service in the unlikely event of any hardware failure. Epson Preferred Plus service plans are available that cover both the hardware and software for up to two additional years. For additional information, visit www.proimaging.epson.com.